At the top of the Norpoint Way hill on 29th, next to the Tahoma Market and gas station. To serve the greater Tacoma area and provide our customer with insurance plans for your home, autos, motorcycles, boats, classic cars, renters, health, life, business and commercial insurance. Get a free quote from the largest car insurer in the U.S.! 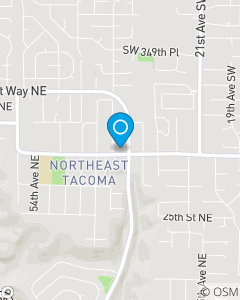 Click, Call or stop by our office in NE Tacoma for a free quote. Give Alex a call to talk about how to save money on your car and home insurance. Give Jason a call to discuss your life and health insurance needs.